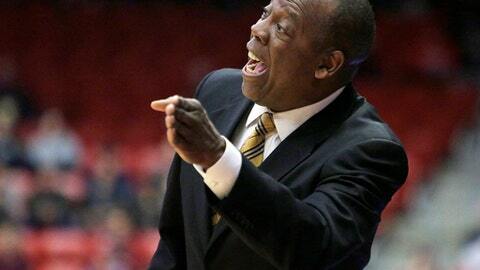 Washington State coach Ernie Kent is in familiar territory as he prepares to open his fourth season with the Cougars. The team was picked for the third straight year to finish last in the Pac-12. That’s not all that surprising, considering the Cougars lost five of the six leading scorers from a team that finished 13-18 overall and ninth in the league at 6-12. Kent isn’t buying the prediction. Kent was referring to guard Milan Acquaah, forward Arinze Chidom and guard Jamar Ergas, who become eligible this year. The only returning starter is point guard Malachi Flynn, who averaged 9.7 points and dished out 91 assists last season, starting all 31 games as a freshman. Other key returnees include Robert Franks, Viont’e Daniels, Jeff Pollard and KJ Langston, who all played between 21 and 31 games last year. Franks was the most productive of the four, averaging 6.3 points and 3.3 rebounds per game. He dismissed the preseason prediction. ”I don’t really listen to the media when it comes to stuff like that,” the junior forward said. The Cougars lost four starters – Josh Hawkinson, Ike Iroegbu, Charles Callison and Conor Clifford – who combined to score 44.2 points per game. The loss of Iroegbu makes Flynn the floor leader, Kent said. ”All of that totally falls on to Malachi,” Kent said. But he noted that Acquaah is expected to help Flynn. The Cougars will also look for help from transfer students Kwinton Hinson and Davante Cooper, both from Tyler Junior College in Texas. Drick Bernstine, a transfer from North Dakota, is battling an injury but should be ready for the conference season, Kent said. ”With the pieces we have in place, it’s difficult for everybody to understand where we’re at,” Kent said of the last-place prediction. He pointed to his past building programs at Saint Mary’s and Oregon. ”We’re on pace to where we need to be, and it’s time to make a push,” Kent said. GOODBYE TO THE HAWK: Josh Hawkinson graduated after posting the most double-doubles in program history. As a senior, he averaged 15.5 points and 10.2 rebounds per game. THE SCHEDULE: Kent assembled a non-conference schedule that should help his team. They open against Texas Southern, Seattle and Idaho State before heading to The Wooden Legacy in California. Other non-conference opponents include UC Davis, IUPUI, and Bethune-Cookman. They host Kansas State in Spokane. BENNIE IS BACK: Kent has added Bennie Seltzer, the program’s career assists leader, as an assistant. PLAYING IN MARCH: Washington State hasn’t played in a postseason tournament other than the Pac-12 tournament since the CBI in 2012. The Cougars haven’t made the NCAA Tournament since 2008. THE HOT SEAT: Kent was hired at WSU by former athletic director Bill Moos, who surprised everyone by departing for Nebraska in mid-October. With a 35-58 record in three seasons, his seat might be feeling a bit hotter these days.